Riley, my daughter, who is now 2 years and 3 months old, was holding my keys the other day. She flipped through the key fabs (including the YMCA and the LA Zoo), and stopped at her Los Angeles Public Library LAPL card. She held it, looked at it, and said, “libary.” I know it may be a simple word, and not that big of a deal in the scheme of things. But I did not know she recognized her library card, or that she could say library (or her condensed version of it). She often says, “boot”, for book, or “I read” when she wants alone time with her own book, but this was the first instance I distinctly heard library. Language is amazing. Children learning language is amazing. Books are amazing. Libraries are amazing. Children with books absorbing language in libraries are amazing. 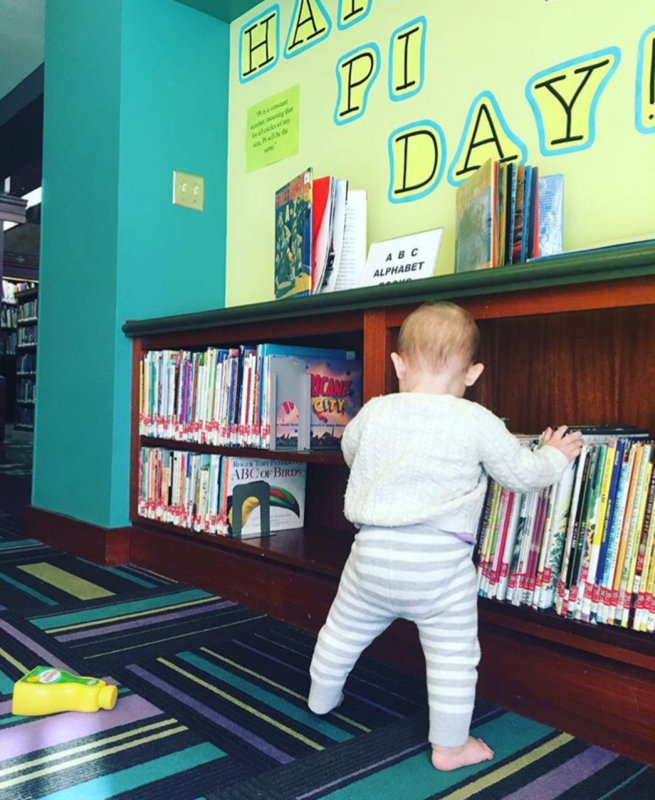 I’ve been taking Riley to the LAPL branches, in order of library branch number, since last March (Riley was about to be 12 months old – see the above Pi Day picture) when we started at Central Library downtown. Currently, we are already halfway through our journey through all 72 branches. We’ve been to some storytimes and author series, however, we mostly just get picture books from each branch we visit, enjoy them at home for a while, then return the books to the next branch we visit. (You can return any LAPL book to any LAPL branch by the way- which is why you often see the branch number on the front of the book to help identify where it belongs). We probably check out between five and ten books from each branch. So, we’ve read at least 275 library books over the last year (after visiting 38 branches and Central Library). Every book we take home is a gem. There is always something about each book that Riley enjoys. And you know what LAPL just launched? A new initiative called, Read, Baby, Read! There is information readily available for kids Birth to 5, but this is how the City Librarian, John Szabo explains this initiative in a press release: “It’s impossible to overstate the critical role that early literacy plays in the future success of a child, both in school and in life,” said City Librarian John F. Szabo. “That’s why we created Read, Baby, Read!-to help parents understand the essential role early reading plays in their child’s development and to give them the tools they need to develop in their babies a lifelong love of reading and the library.” According to the same press release, “Each kit contains baby’s first library card along with a book, t-shirt, socks, blanket, diaper bag and brochure with early literacy tips. 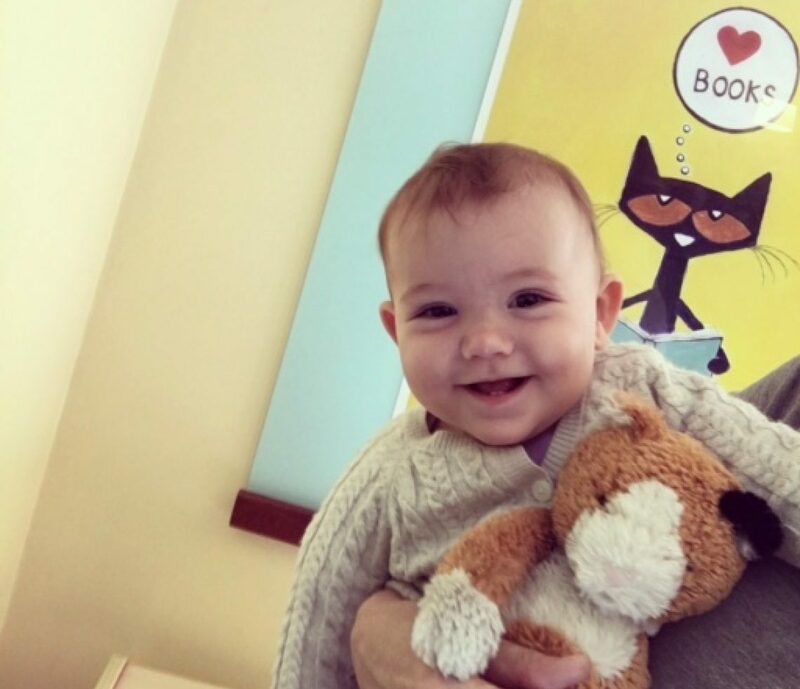 Parents are encouraged to visit their local library to borrow children’s books and to participate in baby story and play times as well as other programs. There is no minimum age limit to have a LAPL library card, otherwise known as, The Best Card In Town. Think of it as the never ending gift card. Read, Baby, Read! reminds me of another literacy program from the American Speech Language and Hearing Association ASHA and Read Aloud 15 Minutes –> a free toolkit that helps build babies’ brains through reading. The Los Angeles Public Library has so many resources to help motivate language and literacy for any age. The Summer Reading Challenge is in full swing, and events such as the Summer Author Series are taking place all summer long. Thank you, LAPL, and the Library Foundation of Los Angeles for inspiring kids of all ages to love reading.